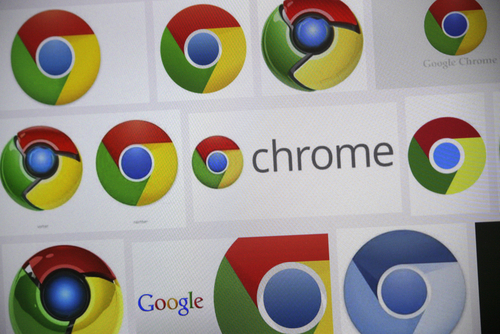 Google’s Chrome is the most used browser with just over half of internet users choosing it. Oddly, many of those individuals use Chrome every day without knowing all of the features and capabilities it offers. All browsers have hidden features that typical users don’t take advantage of regularly. As Evan Dashevsky of PC Mag explains, Chrome is ripe with additional features that make browsing easier and more convenient. Here are five useful features you probably don’t know about. When you’re searching for information, the number of clicks and websites you have to visit can be exhausting. This trick helps you streamline that process. Any site that has a search bar included on it can be saved in your Chrome browser as a search engine. To do so, right click on the search bar and click ‘Add as search engine’. Now, if you’re searching for something you think might be on that site, you can simply type the name of the saved site in your address bar, press tab and enter your search term. Instead of searching Google, Chrome will search through the site you entered for your query. Since you can do this from any site or new tab, it saves you a few clicks. Most users have learned, many by accident, that they can move a tab from one Chrome window to another, create a new window with it or rearrange the order of tabs in a single window. What few realize is that you can actually move multiple tabs at once. To do so, hold shift and click on the tabs you want to move together. For Mac users, hold the command key. If you’ve got an image file saved and you’re not sure what it is, Chrome can help with that too. Just drag the file into Chrome and it will display the image. It’s much quicker than some other alternatives, but there are no additional editing features. This is for viewing the image only. Most Chrome users take advantage of browsing in multiple tabs at once, which means most users have also accidentally closed a tab they immediately wanted back. Thankfully, Chrome includes a feature that acts like an Undo tool in a word processor. By pressing Control-Shift-T, you can regain your most recently closed tab. Keeping hit those keys and you can restore more tabs. The address bar in Chrome is actually called the Omnibox, most likely because of all of the additional features built into it beyond just typing it URLs. For example, typing simple math equations into the Omnibox will produce the answer. It’s also capable of converting units, like telling you how many days a certain number of hours equates to. You can highlight text on a website and drag it directly into the Omnibox to search for that text. Also, the folded piece of paper or lock icon in the far left side of the Omnibox can be clicked to reveal information about the site you’re currently on like the cookies and permissions it uses. At Geek Rescue, we know the tips and tricks needed to get the most out of your devices. For help with repairs, security and more, call us at 918-369-4335. A well-known online scam is directing users to malicious websites by sending them emails claiming to contain links to en e-card. 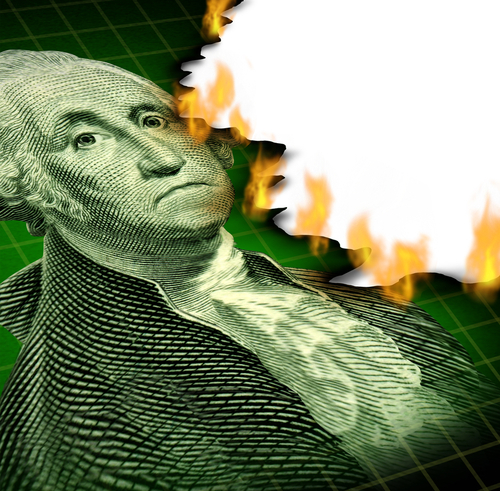 Usually, the goal of these scams is to infect users with malware, but as Sean Butler reports for Symantec, the latest scam attempts to steal users’ money by promising a get rich quick scheme. The email messages used in the scam appear to be sent from a legitimate e-card website, 123greetings.com. It contains only one sentence with a link to supposedly view your e-card. In most scams of this nature, this link would take you to a website where malware would be downloaded to your device. In this case, however, you are delivered to a site that’s made to look like 123greetings.com. Instead of malware, users are met with a long message that appears to be from a friend urging you to take part in a get rich quick scheme. This spoofed version of the e-card site was only registered on June 17, according to WhoIs. From that site, users are sent to several other sites that all attempt to verify the authenticity of the ‘business opportunity’. Users are promised the chance to make thousands of dollars each week, but there’s a significant catch. It requires an initial payment of $97. In addition to stealing a user’s money, contact details are also obtained, which could allow the spammers to attack the same individuals in future scams. It’s never a good idea to follow links sent in unsolicited emails, but there are additional clues that this particular email isn’t legitimate. Most notably is the use of URL shorteners. Actual emails from 123greetings, aside from including much more than a lone sentence and link, include the full length with their domain name. The emails sent as part of this scam are shortened to obscure the true URL. For additional tools that keep malicious emails like this out of your inbox, or for help recovering from a malware infection, call Geek Rescue at 918-369-4335. Moving part of your business’s operations to the cloud offers you a number of advantages, including more flexibility and mobility. It does introduce a few challenges related to security, however. Since employees are able to access more from more places, that means the possibility of criminals accessing important data increases. Another possibility is a crippling denial of service attack that makes any applications or data stored in the cloud unreachable. That’s what happened recently to a company hosted in Amazon’s Web Service Cloud. That attack prompted Tech World’s Brandon Butler to publish a list of tips for protecting any infrastructure as a service cloud. The primary worry when data is available from anywhere is that log in credentials will be stolen or hacked allowing a third-party to access everything stored in the cloud. To prevent this from occurring, two-factor authentication is extremely useful. Rather than a simple log-in name and password, two-factor authentication requires a unique PIN for a user to log-in from an unrecognized device. This PIN is often sent to the user’s registered phone via text message. If an unrecognized device tries to log-in to the cloud, even with a recognized username and password, a PIN will be required, which should keep attackers out. One of the keys to spotting a developing problem with the cloud is closely monitoring regular activity. You need to know what behaviors are normal so you can spot irregular or suspicious activity and investigate before any real problems develop. There are a number of tools available to help monitor activity like when and where users log in from. Keeping a close eye on these reports allows you to see when unknown IP addresses are attempting to gain access. Unfortunately, no security tool can guarantee that no criminal will ever gain access to your data. In the event someone does gain access to the cloud, it’s important to have encryption in place so important data isn’t readily available to them. It’s also important to understand that not all encryption is created equal. While some is useful to protect your data in the event of a large scale attack against the whole system, that same encryption likely wouldn’t be effective should an individual user’s account be compromised. As with anything else, if it’s important, it’s important enough to make copies. Making back-ups doesn’t improve security or protect you from an attack. It does, however, make attacks much less costly because recovery times are much shorter and much less data is completely lost. Some cloud services automatically back-up data stored there, but not all do. It’s important to know if your data is being backed up, or if you need to make arrangements yourself. You’ll also need to decide if everything stored in the cloud needs to be backed up regularly, or if there is specific, vital data that needs the most attention. The cloud is becoming an invaluable tool for business and securing it properly is vital to the success of your operations. 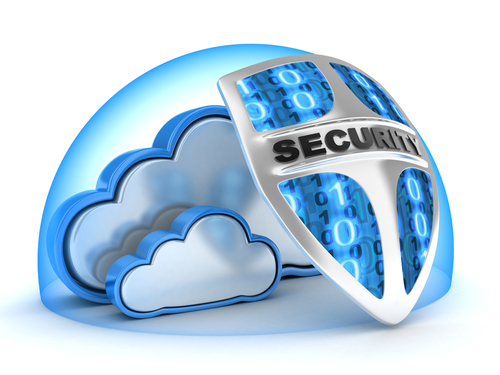 For help implementing and securing the cloud, call Geek Rescue at 918-369-4335. The Heartbleed bug, which was revealed in April as a serious threat to all websites using OpenSSL, has caused system administrators to scramble to update and patch servers. Even after months of work, however, a recent report found more than 300-thousand servers still vulnerable. At PC Mag, Stephanie Mlot explains why there are still websites can’t be trusted. 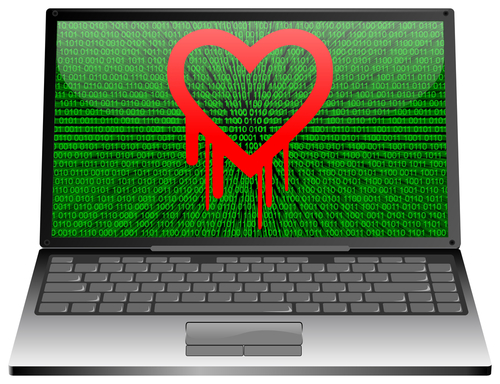 Errata Security conducted the scan that revealed 309,197 servers are still vulnerable to Heartbleed. That’s down from the 600-thousand vulnerable systems at the first report of the bug, but according to the security company, suggests some administrators have stopped any efforts to patch their servers. That likely means these vulnerable websites will remain until outdated technology is replaced, which could leave vulnerable servers in place for a decade. This is a serious concern for web users because there’s nothing they can do to improve the security of these vulnerable site from their end. The best course of action is to regularly change passwords and be sure to use a unique password for each online account. Using this practice ensures that only one account is compromised if a criminal gets your log in credentials and regularly changing passwords ensures that compromised accounts won’t stay compromised for long. If your servers haven’t been updated since news of Heartbleed broke, or you haven’t tested to see if you’re vulnerable, you’re running a significant risk. At Geek Rescue, we handle security for both individual users and organizations. Let us be your IT team. Call us at 918-369-4335. The way smartphones are used is changing. More users are willing to surf the web, and even make purchases with their phones than ever before. Unfortunately, this means that it’s more profitable than ever to launch malware attacks against these devices. At Dark Reading, Kelly Jackson Higgins explains one of the latest threats against Android users and how it could compromise users’ bank accounts. The attack begins with a fake Google Play store app icon appearing on your device. If you look closely, this fake icon is easy to spot. It’s titled “Googl App Stoy”. This would be a dead giveaway that it’s a fake, but many users fail to look past the official looking logo. It’s unclear how exactly the malware infects Android devices, but it’s likely done through a malicious app that’s either infiltrated the official Play store or the user downloaded from an unverified location. 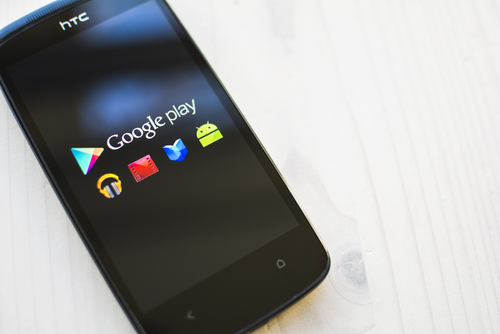 The malware lay larges dormant on a device until the fake Play store app is clicked. At that point, it is activated and able to steal banking website log in information, as well as text messages. What makes this malware particularly dangerous is how difficult it is to get rid of. Only three out of 51 antiviruses tested were able to detect its presence. That’s led to about 200 reported victims over the past 30 days. Complicating matters even further is the app’s supposed ‘Uninstall’ feature. While using ‘Uninstall’ seems to remove the app icon, it reappears and the malware continues to run when the device is restarted. So far, this attack has only targeted Korean users, but that suggests that users in the US could be targeted soon by this or similar malware. If your device is infected with malware, or you’d like to find out how to protect yourself better, call Geek Rescue at 918-369-4335. A distributed denial-of-service attack, or DDoS, often makes headlines for attacks on large enterprises and popular websites. Victims of DDoS attacks come in all sizes, however. These highly targeted attacks can be launched against any organization to slow operations to a crawl or a standstill. When faced with a DDoS attack, it’s important to take the right actions in order to keep it from crippling your network. At Dark Reading, Kelly Jackson Higgins reveals what not to do in your preparations for potential attacks. The absolute worst case scenario is assuming that your business won’t be targeted by a DDoS attack. There’s certainly a chance you could be right, but it’s a big gamble. If you are attacked without a plan in place, you risk being unable to serve your customers for weeks. Putting the proper security tools in place before an attack allows you to recover quickly, or in many cases avoid any damages or downtime. Too often organizations wait until an attack is already taking place to act. By then, the time required to mitigate the attack is multiplied. Just putting precautionary measures in place isn’t enough, however. One infamous story explains how a large banking institution implemented a DDoS mitigation service, but when they put their plan into action for the first time, their entire network went down. Failing to properly test your mitigation system before it’s needed isn’t so different from having no system at all. In other cases, mitigation services have been known to slow down services. During an attack, this might be attributed as a DDoS side effect. Without proper testing, you may be doing harm to your own network and services. 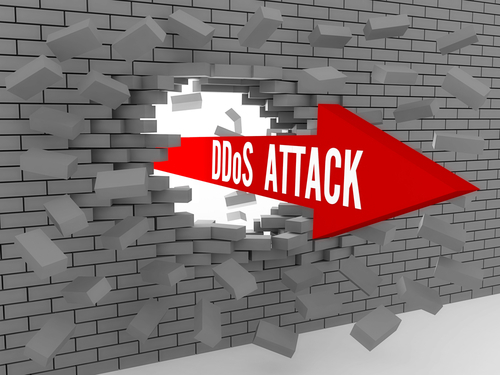 Your internet service provider is the first line of defense in most DDoS attacks. From a so-called “upstream” vantage point, ISP’s are able to see if malicious traffic is targeting a specific network or application. While you may be locked out of your own network due to an influx of traffic, your ISP could be able to limit that traffic or even stop it before it does any damage. Once again, once an attack has started it’s already too late. The key is to partner with your ISP early and ensure that they’re monitoring activity for signs of a possible DDoS. DDoS attacks are able to knock services offline and prevent you from doing business and serving your customers. To find out what security measures are needed, call Geek Rescue at 918-369-4335. It’s long been understood that Google, Facebook and many other popular websites record users’ data. That data is used a variety of different ways, but most commonly it’s to produce more targeted ads that are relevant to you. This week, Facebook announced that they’ll begin collecting data from users’ browsing history for advertisement purposes over the coming weeks. Naturally, many users feel this is too invasive. At Gizmodo, Ashley Feinberg published a detailed walk-through for how to opt out of Facebook’s new policy. Here are the steps you’ll need to take. The first thing to understand is that Facebook collects and uses this information by default, so if you don’t want to participate, it requires some proactive effort on your part. To do that, visit the Digital Advertising Alliance’s ‘Opt Out From Behavioral Online Advertising’ page. Turn off any type of ad blocker and make sure to enable cookies for the site to work. To be clear, this doesn’t stop Facebook from collecting information about your browsing history. This only limits how they are able to use that data. Unfortunately, if you want to keep your Facebook account, you’re pretty much accepting that they track your online behavior. Your first action at the Digital Advertising Alliance’s page should be to use the ‘Companies Customizing Ads For Your Browser’ tab. Scroll down to Facebook and check mark it. This is a good time to also look at other websites and companies who have similar policies and opt out as you need to. Then, with all companies that you want checked, hit ‘Submit’. 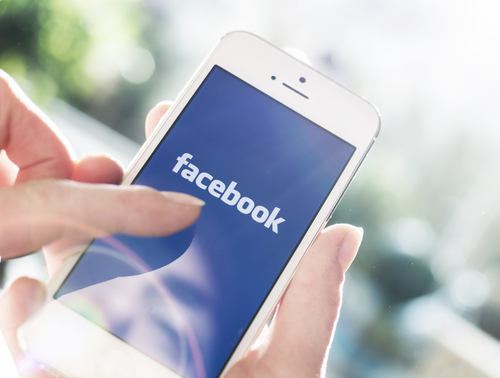 Chances are, you’re using Facebook’s mobile app also. To opt out on an Apple device, go to the ‘General Settings’ tab and open ‘Restrictions’ then ‘Advertising’. ‘Limit Ad Tracking’ will be a switch you can simply turn off. For Android users, visit the ‘Google Settings’ tab then ‘Ads’. Select ‘Opt-Out Of Internet Based Ads’ and you’re done. That’s all it takes to be free from overly-invasive data collection on Facebook and other websites. Again, this doesn’t stop them from collecting data, it only stops them from using it to target you with ads. For help locking down your valuable data, improving your computer’s security or other IT issues, call Geek Rescue at 918-369-4335. 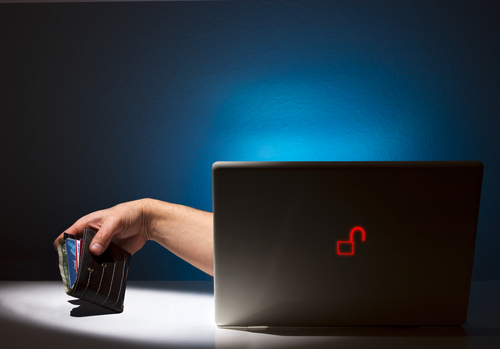 Ransomware has surged in popularity for attackers over the past year. In a ransomware attack, a user’s files are encrypted and only released once a ransom is paid. Usually, this type of malware finds its way onto a user’s device through a malicious email attachment, or phishing website set-up specifically for infection. Neither of these methods are particularly efficient for criminals, however. That’s why, as Jeremy Kirk reports at TechWorld, ransomware attacks have begun appearing in conjunction with malicious advertisements on trusted websites. Disney, Facebook and the Guardian Newspaper’s website were all found to be hosting malicious ads by Cisco Systems, who called the practice “insidious”. Also known as malvertising, legitimate websites are tricked into displaying ads that redirect users to malicious domains. While advertising networks are working hard at protecting websites against malvertising, their security is far from perfect, which leads to attacks like these. For users, not only is the website trusted, but so is the ad. The advertisement of legitimate and trusted companies is shown, but while the user is expecting to visit that company’s website, a click actually delivers them to a site that downloads malware to their device. In the attacks noticed by Cisco, an exploit kit on the malicious site checked for any vulnerabilities in a user’s version of Flash, Java or Silverlight. Those who hadn’t patched vulnerabilities were exploited and a ransomware relative of Cryptolocker, called CryptoWall, was installed. CryptoWall then encrypted files and demanded a ransom. The longer a user delays, the higher the ransom gets. The group behind the attacks hasn’t been identified yet and no real protection is being offered. To avoid infection, you could avoid clicking on any advertisements online, but even that doesn’t protect you against attacks that only require the display of malvertisements. A better course of action would be to ensure that all of your applications are fully updated and patched. Then, be aware of what you’re clicking on and what website you expect to load. If any of your devices are infected with malware, come to Geek Rescue or give us a call at 918-369-4335. Cryptolocker unveiled itself in 2013 as one of the worst malware threats on the web. Victims saw their files encrypted only to be released after a ransom payment was made, and even then sometimes the files would remain inaccessible. A new spam email scheme, as reported on the Symantec blog, uses the Cryptolocker name, but actually infects users with another form of crypto malware. While the malware used in this attack isn’t Cryptolocker, it performs similarly. Users’ files are encrypted and a ransom is demanded. The use of the Cryptolocker name is perhaps to convince users that there’s no way around the encryption. Cryptolocker uses notoriously difficult, or nearly impossible, to break encryption. While this threat’s encryption hasn’t been closely analyzed, it’s likely that it hasn’t been crafted as carefully. The attack begins with an email arriving appearing to be from an energy company. Users are told that they have an outstanding debt on an electric bill. That should be the first clue for most users. In this sense, this particular threat is more believable than others. Many companies, including electric providers, often send an email to customers telling them their latest bill is ready. The message contains a link supposedly allowing users to view their bill. It directs them to a website containing a CAPTCHA. The number you’re directed to enter never changes, however. From there, users arrive on a page with a link to download their bill. It downloads as a file disguised as a .PDF. Again, this is all fairly believable. Opening that file, however, immediately causes files to be encrypted and a text file pops-up informing the victim that they’ve been hacked with Cryptolocker. They’re informed to send an email to a provided address to start the ransom process. There’s an added feature to this attack also. 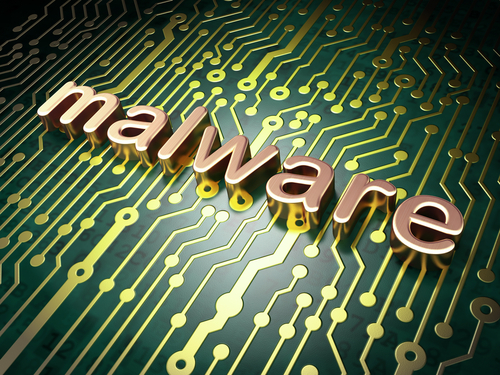 The malware checks to see if the user is running email client Outlook or Thunderbird. If you are, your contact list is stolen and sent to the attacker, presumably to help spread the malware to more users. As with any other crypto attack, the key is to avoid infection. Once your files are encrypted, it’s extremely difficult to unlock them. Avoid these threats by being extremely cautious about following links in emails and downloading attachments. Also, regularly back-up your important files in case they’re encrypted or corrupted. For help recovering from a malware infection, call Geek Rescue at 918-369-4335.